Parallel (of Life and) Architecture sees three duos of architects, artists and designers offer new insight into the legacy of Alison and Peter Smithson. The exhibition brings together the work of Turner Prize winning collective Assemble & Simon Terrill, Warren & Mosley, and The Decorators & GOIG, through projections, print, historic models, sound and sculpture. Seen collectively, the exhibition highlights the Smithsons’ impact and lasting relevance as radical thinkers. A major exhibition for one of Britain’s best and most inventive artists, Steven Pippin’s skill in technological manipulation reveals the inter-relationship between objects, mechanisms and the universe. Engineered Equanimity offers audiences new perspectives on everything from Newtonian mechanics to the production of renewable energy, re-framed with an autonomous spirit of inquiry. Featuring leading international architects, artists and thinkers this symposium investigates the legacy and impact of British architectural pioneers Alison and Peter Smithson across urbanism, habitation and education. Alison and Peter Smithson saw architecture as a direct result of a way of life, responsive to the demands of contemporary living. This approach permeated their designs for the University of Bath including the University theatre (1990) where this symposium takes place. Get imaginative, hatch creative ideas and spend some quality time together in a supportive and friendly environment. Taking influence from our architecture inspired exhibitions, you’ll leave with some fun creations and top tips for making art at home too. 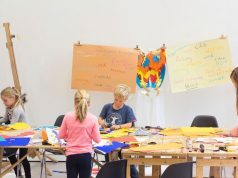 Led by artist educator Dorcas Casey, our monthly workshops include a variety of sticking, collage and drawing to tailor a wide age range from 5-11 years. In November we’ll be bringing Dear Zoo by Rod Campbell to life. Each month is inspired by a different and much-loved story, explored through music, drama, craft and movement. 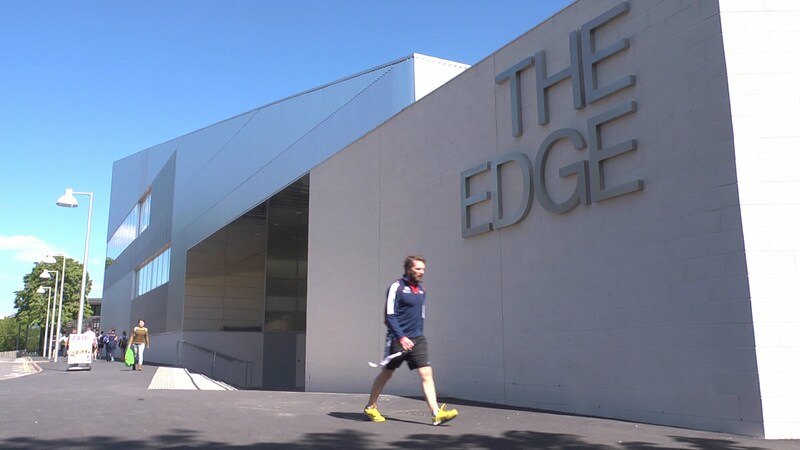 The Edge is an arts and creativity hub informed by the context the University of Bath. We encourage and nurture arts/research collaborations, providing a place where artists, audiences, researchers and academics can find new perspectives and fertile ground to showcase new thinking and ideas. Here, mechanical engineers meet sculptors interested in moving structures, architects work with artists to shed new light on the nature of play and how architecture influences it, artists bring together inventing and engineering expertise to create artworks of scientific complexity.